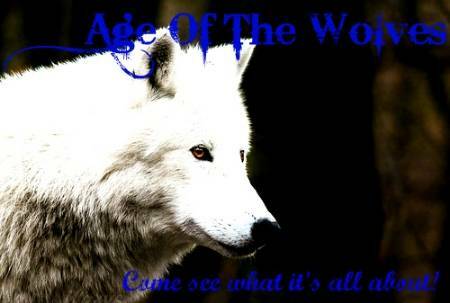 Welcome to Age Of The Wolves! Currently, we have one pack, but issues have been arising among the members. Soon there will be two packs, one of order and honor, while the other swirled with chaos and ferocity. Come to the borders, make alliances, and join the pack. Many positions open and when the packs split, there will be even more positions available! For questions or a chance to speak with our members create your own profile or log into the Guest account! Instructions are on the page!